Avocados are loaded with nutrients, including healthy monounsaturated fats, fiber, potassium, folate and vitamins B6, C and E. And while you might initially think of whipping up guacamole or adding a few slices to a salad, avocados are an incredibly versatile and healthy addition to a variety of recipes. Avocados have a distinct taste that's easily identifiable, yet they're mild enough to go well with a wide range of ingredients. They're particularly useful in recipes where you want added creaminess. Read on for 12 yummy ways to enjoy avocados — including some that are vegetarian, vegan and gluten-free. The texture of a ripe avocado is often described as buttery, and this quality makes it an excellent swap for actual butter in many recipes. Like its dairy counterpart, avocado is full of fat, giving it a creamy texture and allowing it to amplify the flavor of accompanying foods. The good news is that avocados contain healthy fats and are also dairy-free and vegan. 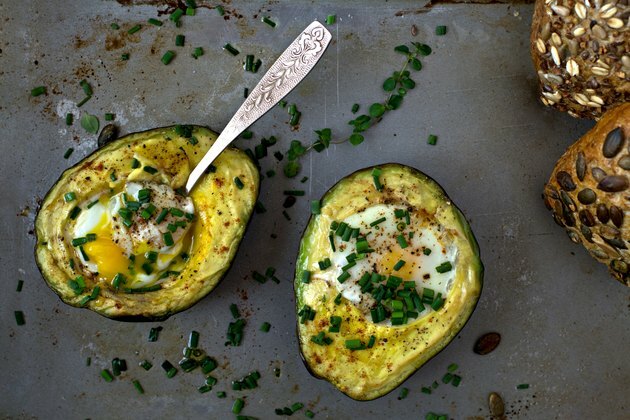 To spread it on your toast, quickly mash an avocado and season it with freshly ground salt and pepper. You can also add vegetables, herbs or other spices of your choice. Make sure to opt for whole-grain bread and you'll have a satisfying breakfast or snack that will give you sustained energy throughout the day. A firm avocado slice is also a fun substitute for bread in many homemade meals. In this recipe, instead of the traditional English muffins used to make eggs Benedict, a piece of ripe but firm avocado is substituted as the base for this famous brunch dish. This simple swap is also a tasty way to make it gluten-free if you have gluten sensitivity or celiac disease. If you're on a Paleo, grain-free or keto diet, this is an easy way to keep enjoying the foods you love in a fun, healthy and creative way. Recipe and Nutritional Information: Eggs Benedict on Avocado "English Muffins"
In many Latin American countries (where avocados grow in abundance) chefs experiment with countless ways of making the most of this delicious ingredient. Stuffed avocados are one of the most popular methods, as they allow versatility and are relatively easy. In Peru, avocados are traditionally served as an appetizer filled with a fresh shrimp salad (or a potato-and-beet salad for a vegetarian version). And after you enjoy your main meal, you can get creative with leftovers — salads or rice dishes are a good place to start. Despite dessert's bad rap, if you choose wisely and use ingredients that are good for you, they can actually be healthy and delicious. 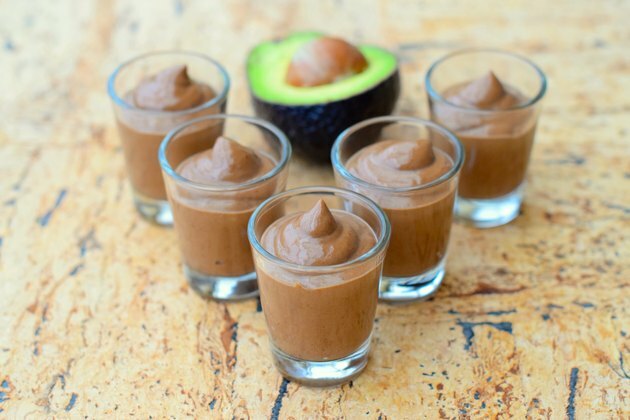 This avocado chocolate mousse is the perfect example of that, combining the rich texture of avocado and the decadent chocolaty taste of cacao. Avocado gives any dessert a rich, creamy texture without the need for butter, cream or milk, and adding it to your sweet recipes can help you turn many of them vegan and raw. Add coconut oil and raw honey to this already-powerful combo for a healthy-yet-satisfying dessert you won't feel guilty for indulging in. Entertaining is fun, but it can also be tedious and stressful, thanks to the seemingly endless food prep and cooking for a large number of people. Kebabs are an easy solution for hassle-free entertainment. There are many recipes for kebabs that include grilled vegetables or meats (very practical if you're having a barbecue), but when simplicity and ease in the kitchen is what you're after, cold kebabs are a fantastic alternative. These cheese, tomato and avocado kebabs are inspired by caprese salad, but the secret is in the sauce — a flavorful chimichurri or pesto sauce are two great options. Even though avocado is used to make a large variety of dishes and sauces, it's surprising that not many people think of it when preparing pasta dishes. 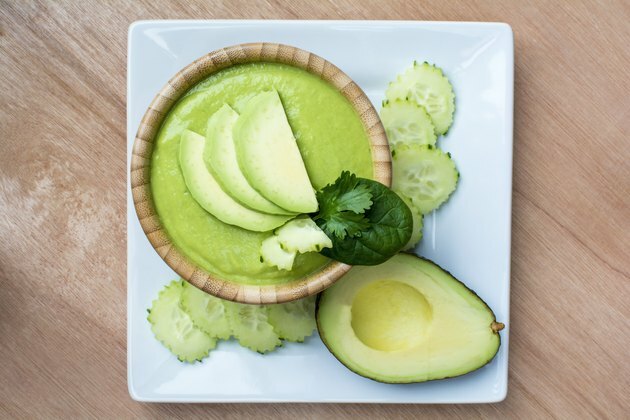 The softness of ripe avocados is a wonderful alternative to more traditional sauces made with cream. 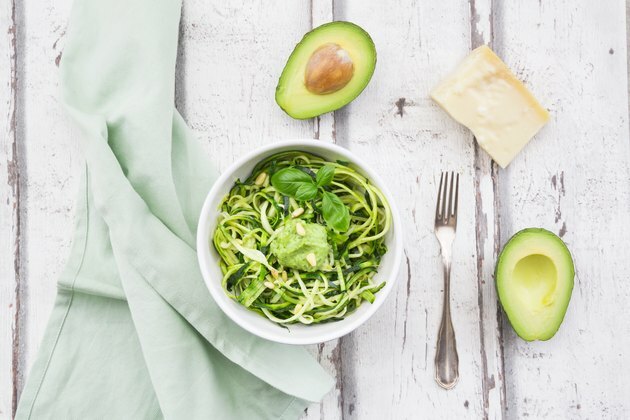 The characteristic flavor of avocados goes well with a wide range of ingredients, giving it versatility in a variety of different sauces and pasta dishes. One delicious and easy dish combines pine nuts, raisins and dried chili flakes with a creamy avocado sauce. It can also be made vegan by skipping the shaved Parmesan (used as a garnish) or gluten-free if you use brown rice or quinoa pasta. 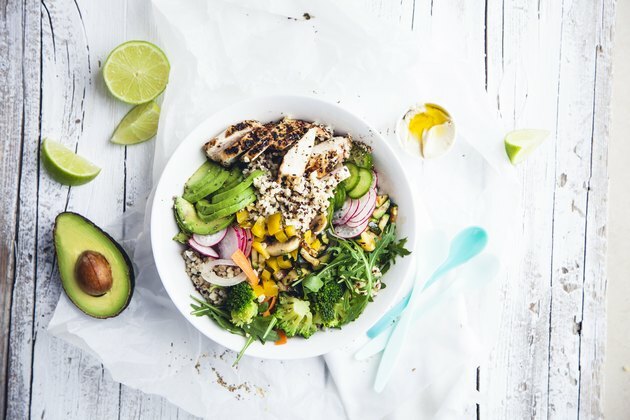 Dressings are typically oily or creamy, but you can bump up the nutrition profile of your dressings by mashing an avocado with finely chopped vegetables and herbs, making it more like a salsa than a smooth liquid sauce. This type of dressing will add taste and texture to any simple salad. Another option is to create more of a traditional dressing by adding in veggies and herbs, but process them in a blender until smooth. For this salad, combine avocado with grapefruit juice, honey, onion and parsley for a tangy yet sweet dressing to top a plate of simple spinach greens. 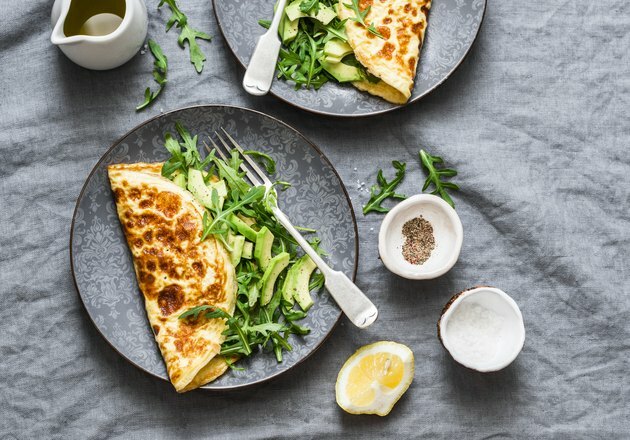 Protein-rich and energizing, breakfast omelets are a blank canvas to which almost anything can be added. Avocados, of course, are no exception. Adding chopped vegetables, lean proteins and herbs to an omelet topped with sliced avocado and paired with whole-grain bread or baked sweet potato wedges makes a complete meal — combining protein, fat and carbohydrates — so you'll feel satisfied and energized for hours. Even though avocado is mostly used in savory dishes, this mild, buttery ingredient is perfectly suited to many kinds of desserts. Frozen lime and avocado tartlets are a simple way to incorporate this ingredient into a dessert, giving its creaminess, subtle flavor and bright green color to the filling, which many assume to be the result of the limes. If you want a non-frozen alternative to these miniature pies, skip the freezer and add a quarter of a cup chia seeds to the mixture instead. They will thicken the dessert and give it a pudding-like texture. Most smoothies get their creamy texture from fruits, nuts butters or yogurt. But another less-common option is adding avocado, which blends well with fruit-based smoothies that incorporate berries or tropical fruits like pineapple and mango as well as with more veggie-based smoothies that include greens like kale and spinach. Half an avocado adds about 150 calories, so you'll want to keep that in mind if counting calories. It's a hot summer night, you want to make a light and refreshing dinner and you have a ripe avocado on the kitchen counter. What do you do? A fresh seasonal salad would be the obvious answer for most home cooks. This is a good idea, of course, but by no means the only one. Why not try gazpacho, a cold vegetable soup? This "soup" (which is really more like a savory vegetable juice served in a bowl or a glass) is made with onion, garlic, cucumber, bell pepper and large quantities of tomato, but as is the case with most foods, there are now countless versions of it both in Spain and abroad. This green version, for example, has a subtle avocado taste, and it's just one way in which avocado can be used to make a soup. This cold potato terrine is usually filled with tuna or chicken and garnished with an avocado, hard-boiled egg, black olives or fresh cheese. To make it, mash the potatoes and mix with chili peppers and lime juice. You can also blend some mashed avocado into the potato mixture, turning it a light-green color and giving it a new and interesting flavor. Layer the potato mix with whichever filling you choose and continue to place one on top of the other. This is a perfect dish to eat during warm summer days and can be prepared in many different ways. Another delicious option is to create a filling of avocado and smoked salmon and garnish with a lime salsa, black olives, capers and cherry tomatoes.